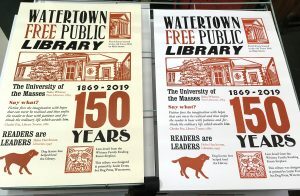 Just finished printing a tribute for the Watertown Free Public Library’s 150th year. 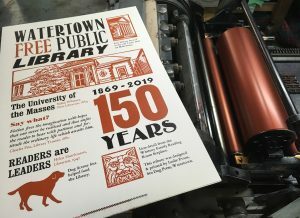 Was delighted to discover that dog license fees helped fund the Library from the get-go. 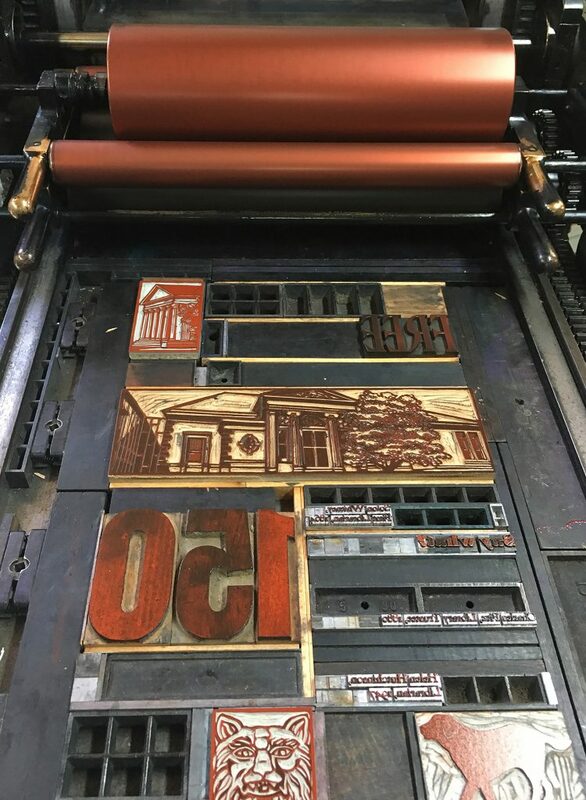 The poster is now available in my shop with 20% of the price benefiting the Library’s Project Literacy program.